Will you be taking on a regional trip and land on rougher terrains? Then the practical plane you can ride on would be the Tupoloev Tu154. With its agile features for medium range flights, you’ll find its spaciousness quite comforting especially if you’re choosing to fly aboard its customized version. As a large airliner, its interiors have an area equivalent to 180 seats. It’s also practical to confirm the aircraft’s facilities so you can make the most of your 5-hourish flight. A standard, private Tupolev Tu154 has a galley complete with compartments and small appliances for preparation of refreshments. To ensure comfort, the plane also has a lavatory. There are other charter services which include changing rooms or even sleeping quarters for further passenger comfort. These features should be perfect, especially when you’re flying to as far as Barcelona, Spain and you’re coming from Ontario. 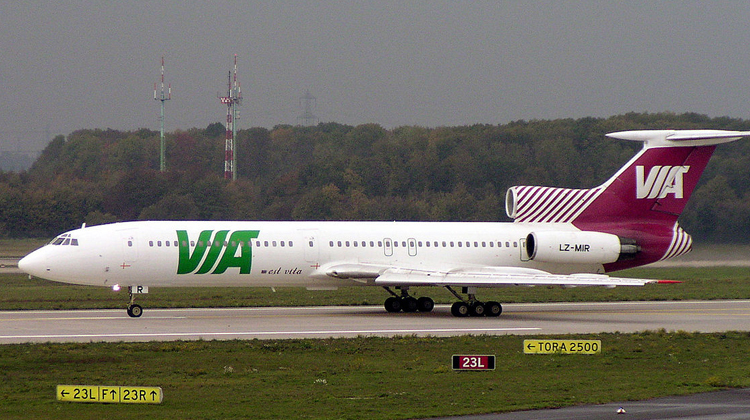 The Tupolev Tu154’s standard, commercial version can cater to 180 passengers. You can just imagine the many amenities you can enjoy in its private configuration. Some aircrafts may even throw in meeting areas for the convenience of their passengers. Its large cabin can readily accommodate your luggage, so you won’t need to place your bags in a separate compartment compared to usual planes. Be sure to check your flight’s facilities with your service provider, so you can make the most of your trip. The standard plane has passenger seats with lengthier legroom. A standard seat can be stretched out so you may relax your feet throughout the flight. You can also check the panel provisions of each chair. Some would throw in their specialized in-flight entertainment, along with the trip’s details. Others will have large tables which can be pulled out and folded for refreshments. These tables may also double as work areas, where laptops can be placed, if the plane does not have a separately customized work corner. If the flight plan’s intended airport has rougher terrains, you can rely on the Tupolev Tu154’s stable ride. This aircraft has been built to precisely fly with efficiency, despite having a rugged runway on standby. 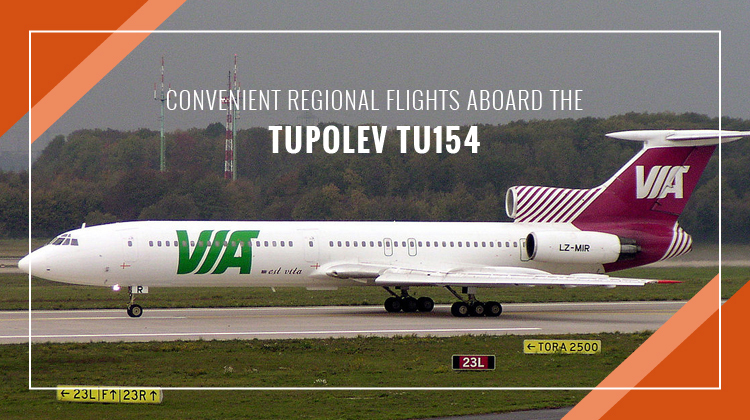 Throughout its four-decade career, the Tupolev Tu154 has been constantly updated to stay fast and agile in every flight. Manufactured by Tupolev from Russia, the Tupolev Tu154 has over 1,000 units being flown by a number of military and civil operators around the world. It was quite an effective transportation vessel among the Russian Air Force and commercial airliners, such as the ALROSA or Alrosa Mirny Air Enterprise. This plane is considered to be the improved version of the Ilyushin Il-18 and Antonov An-10. Today, the aircraft has over 14 variants being operated for civil, military and commercial purposes.